A bloody teaser trailer has been released for the sophomore season of the Evil Dead spin-off. The second season roars back into action with Ash (Bruce Campbell) leaving his beloved Jacksonville and returning to his hometown of Elk Grove. There, he confronts Ruby (Lucy Lawless). The former enemies have to form an uneasy alliance as Elk Grove soon becomes the nucleus of evil. 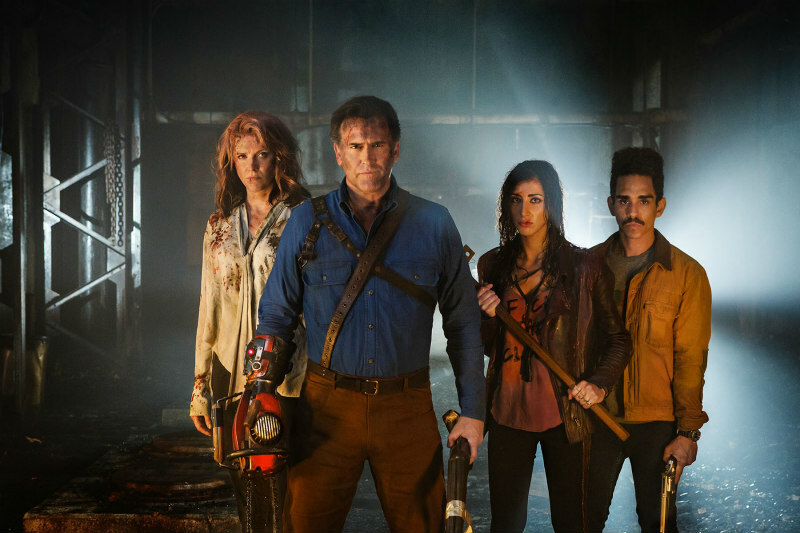 We'll be recapping Season Two of Ash Vs Evil Dead upon its return in the autumn. Meanwhile, you can read our recaps of Season One.